Brooklyn-based artist Artie Vierkant melds photography, commercial printing, and sculpture. For Vierkant, there is no real hierarchical distinction between art experienced in real life or in a photograph. In Vierkant’s post-digital world, 2-D and 3-D, image and object, original and copy, exist on a level playing field. He often takes photos of his installation, modifies them, and repurposes them as new works in and of themselves. Most recently, this has taken the form of an augmented reality (AR) app, Image Object (a term Vierkant termed in 2010 to describe work which “exist[s] somewhere between physical sculptures and altered documentation images”), released in conjunction with his exhibition Rooms greet people by name at Galerie Perrotin on the Lower East Side. Vierkant sat down with the Architect’s Newspaper to discuss the app, the boundaries between 2-D and 3-D, and what augmented reality means for the future of public space. 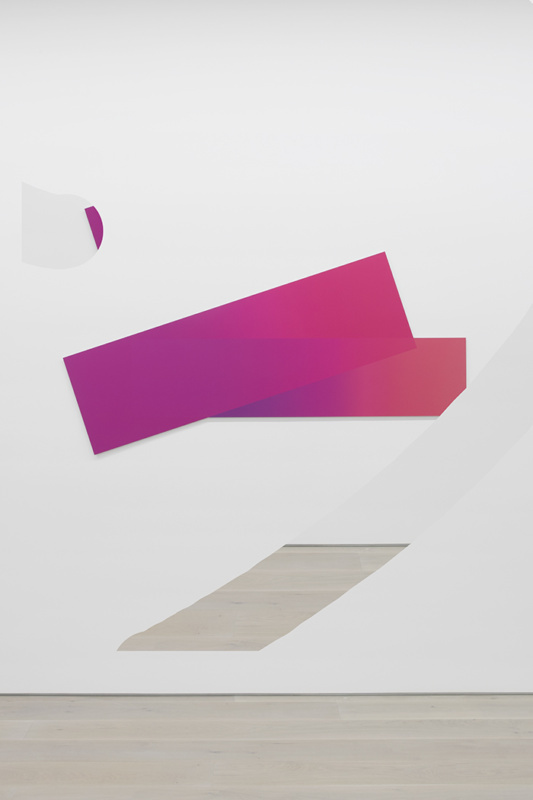 Architect’s Newspaper: Along with your exhibition Rooms greet people by name at Galerie Perrotin in New York, you’ve released an app, Image Object. Can you give us a little background on the app? Artie Vierkant: The app is functionally just a camera app. Part of the idea is for people to take photos and videos with it. For me, that’s just another extension of the work. It started because I realized augmented reality platforms are basically what I do already with the installation view editing in a very simple way. 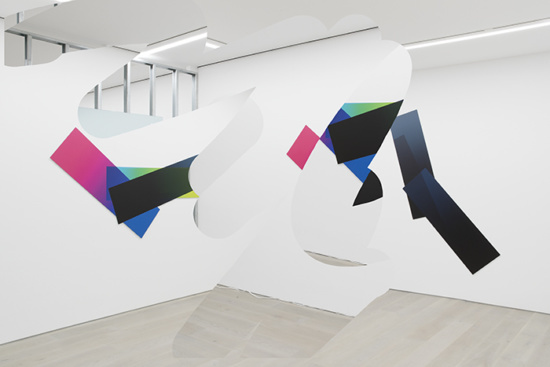 I started playing around with those tools and then realizing that if I applied the same principles as what happened in the installation views, AR could essentially create the exact same aesthetic experience, but perceptually in space, where you could wander through and around the work. It takes the reproduction in a photo on my phone or online or in a book and renders it spatially. AN: Like much of your work, this app troubles the boundary of 2-D and 3-D, perhaps taking it even further than what you’ve done before. If you’re using the Image Object app in the exhibition, there’s a simultaneity between the arts instantiation in the gallery space and in the flat space of your screen. Artie Vierkant: I’m always quite serious about these points of intersection. AN: But, on the other hand, the app works anywhere. You can attend the exhibition without going to the gallery. Artie Vierkant: Or make your own. AN: I was reading somewhere that you said digital space was “susceptible to modification.” How might we think of physical space along these lines? One of the big questions for AR is where the boundaries between physical spatial experience and digital experience are. And if those boundaries even matter. Artie Vierkant: I think it’s becoming increasingly obvious that those distinctions and boundaries don’t really matter. So many of these technologies are just prosthetics that extend our regular perceived lived reality. The idea of having two totally separate realms has been long ago debunked. We’re living in an incredibly weird time. AN: The idea of being “post-internet” presented the notion that the internet became so pervasive it just was simply the background of our world, not some special, fetishizable thing apart from it. It infiltrated existence. Now everything is passively designed to accommodate our use of the internet, to accommodate computation—possibly without even conscious thought. What sort of spaces and designs can we imagine as AR becomes increasingly high-level and increasingly entrenched? Artie Vierkant: This is what would maybe be the really interesting possibilities with AR. For example, buildings are designed knowing that a certain type of use is going to be predominant within them, but AR actually creates a situation where for the first time you could actually introduce a completely other layer. You could say that that’s not totally the case because many things you could physically make, you could waste a bunch of material and resources doing it though. AN: The gallery is almost a perfect metaphor for this though because it is always claiming to be an empty, evacuated space. Artie Vierkant: The white cube will not stop trying to attest that it is a neutral zone or a completely empty space of limitless possibility. Which is obviously false. AN: AR takes that notion of emptiness and asks why bother filling it with stuff when you can fill it digitally. In this way, the gallery is the most extreme test case for the relationship between physical space and AR. Another interesting problem of AR is its relation to the private/public in space. 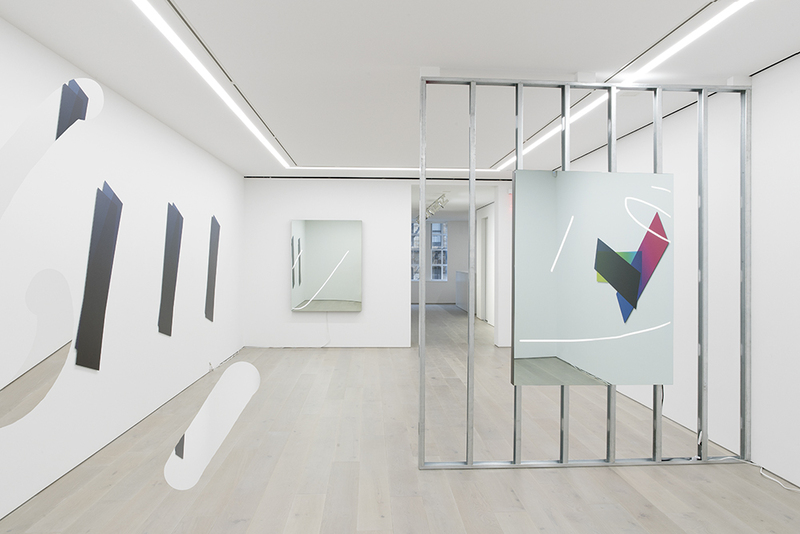 The gallery is a space we occupy with others, but the app’s view of it is limited to our own phones. What does AR mean for public space and togetherness in physical space? Artie Vierkant: I have my own assumptions about how a lot of these technologies will play out and continue to be developed. I don’t think that the more utopian options are going to play out in the short term, frankly. Clearly one of the issues that we have right now with “digital space” is its relationship to corporations. Social media space is basically just comprised of huge advertising companies. You could imagine a more egalitarian version of this under capitalism where you’re both selling you’re both your resources, where you’re actively selling your attention and being remunerated for it. AN: Still, that remains capitalism as such, if a less extreme variety of it. Even the more radical proposals that have existed have quickly turned into commercial tools; if late capitalism is good at anything, it’s rapidly subsuming anything that was initially meant to oppose it. Artie Vierkant: But, outside of an individualized experience which the market is predisposed to, you could also imagine a very strange reality that would be produced by having an augmented reality share a collectivized experience where you have a separate life over everything or different spaces where you could go into, like a white cube, and could load up some stuff that people have left there. 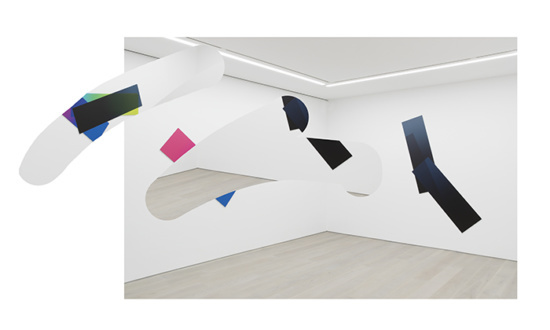 Rooms greet people by name will be on view at Galerie Perrotin until April 8. Image Object will remain downloadable from the Apple App Store.